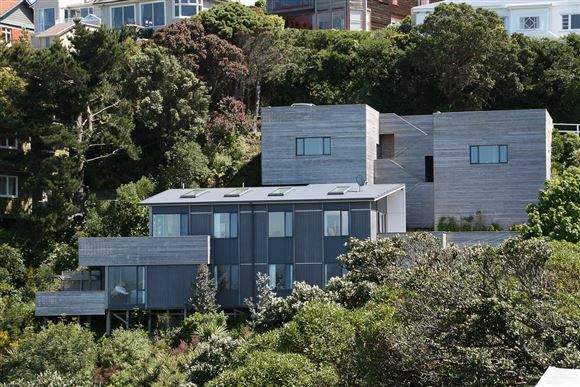 Award winning builder and well known architect have come together to create this stunning home on the Wadestown hill. Capturing the essence of our vibrant city, you are transfixed by the stunning and expansive harbour and city views from the minute you walk into the spacious living room. You will immediately visualise yourself entertaining on the deck with the glittering city at your feet. This large (257m2 +) purpose built home had professionals and teenage families in mind with its open plan living and beautiful kitchen, separate media room or snug and a large separate rumpus room ideal for a pool table for teenagers, or work from home situation. The two large decks offer wonderful indoor-outdoor flow and a fantastic modern lifestyle - no lawns! Huge picture windows and skylights make this light home so uplifting. With all the modern features that a four bedroom home of this calibre offers, this will appeal to professionals and teenage families alike. So close to the CBD and motorways for absolute convenience! RV $1,000,000.